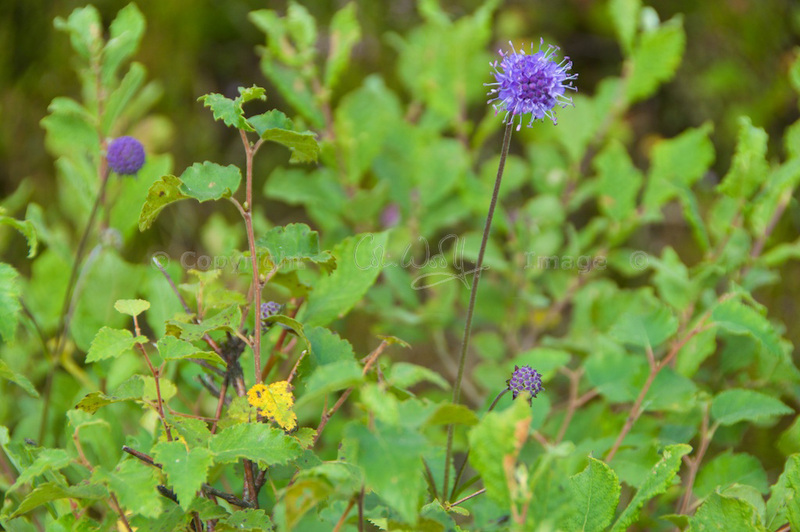 Throughout late summer, grassy hillsides and damp meadows are graced with the long stems of Devil’s-bit scabious, each one carrying a small purplish-blue globe of tightly packed flowers. These pretty blooms provide an important source of nectar for bees, moths and butterflies, particularly so as they flower late into the season and help support insects that are preparing for the winter. Devil’s-bit scabious (Succisa pratensis) is a perennial, preferring fields and woodland margins, hedgerows and rough boggy places, ranging from hillside to sea shore. There are two similar scabious species in the UK – small scabious and field scabious, which seem to have slightly flatter flower heads and paler blooms. One distinctive feature of the Devil’s-bit scabious is that its leaves are long and oval (lanceolate) and the little florets are the same size all over the flower head. 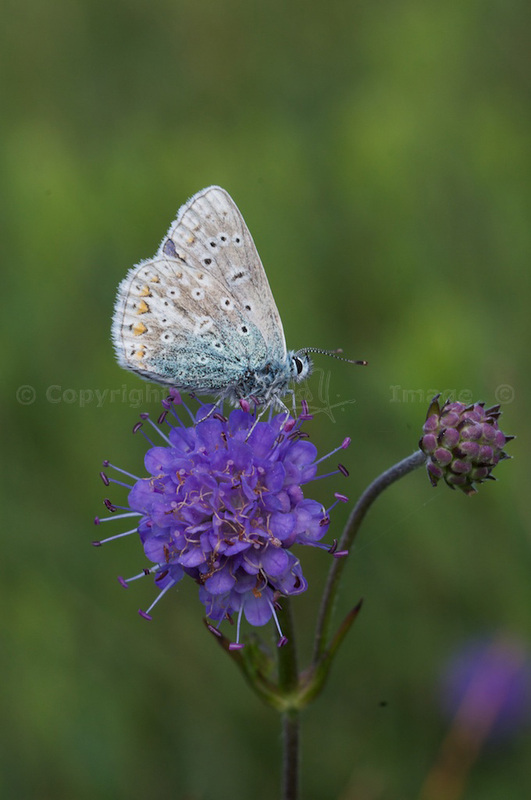 Devil’s-bit scabious is the food plant of the marsh fritillary and the narrow-bordered bee hawk-moth. The curious name comes from an old folk saying, that the plant had so many uses – as a dye, a seasoning, a tea, and a herbal remedy for many complaints – that the Devil bit its root off in spite. Apparently, its root does look as if it has been bitten from below. 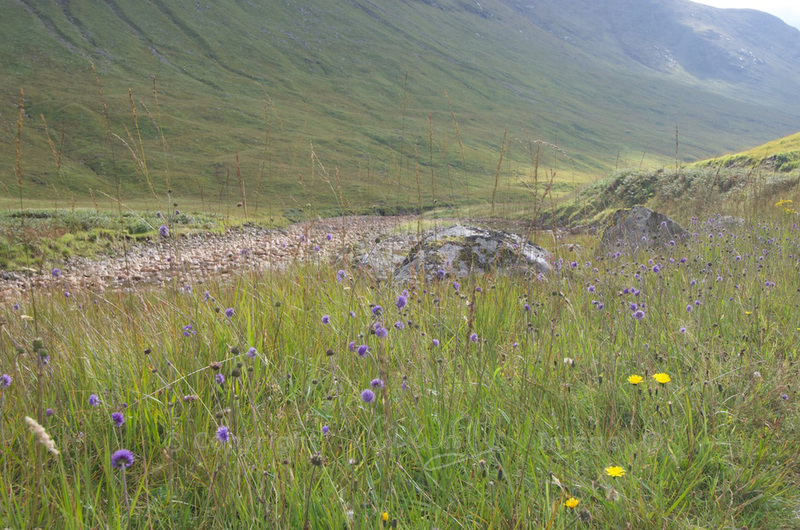 Traditionally, the plant has been used to treat scabies, hence the name, as well as fevers, eczema, the plague, and “the bites of venomous creatures”. That’s quite ironic, considering its name! I love it too, Lynne! I’ve sometimes wondered why this pretty plant has such an unattractive name, and now I know. Beautiful photos, Jo, I love the shade of purply blue.